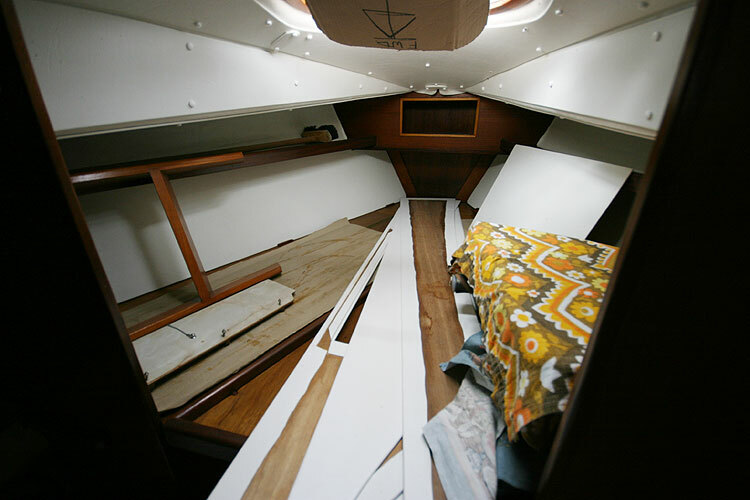 The present owner purchased the moulding new from Island Plastics as home completion project in 1979. 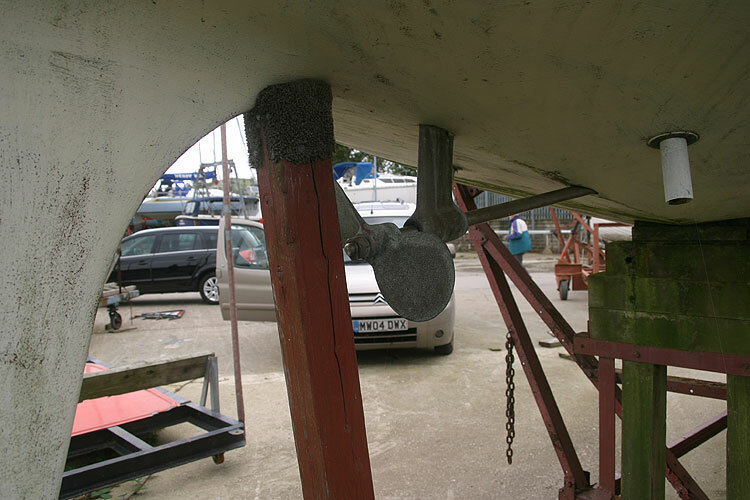 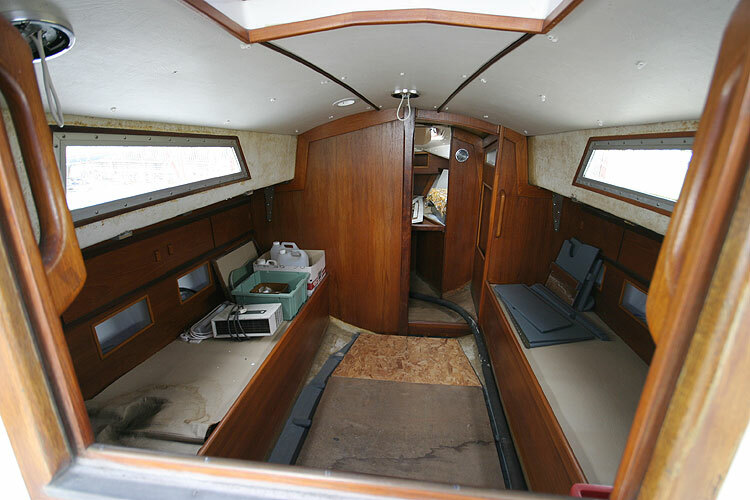 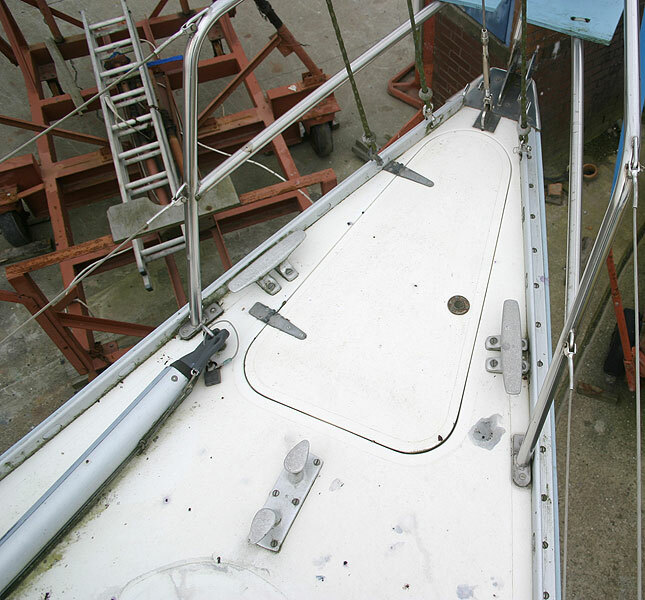 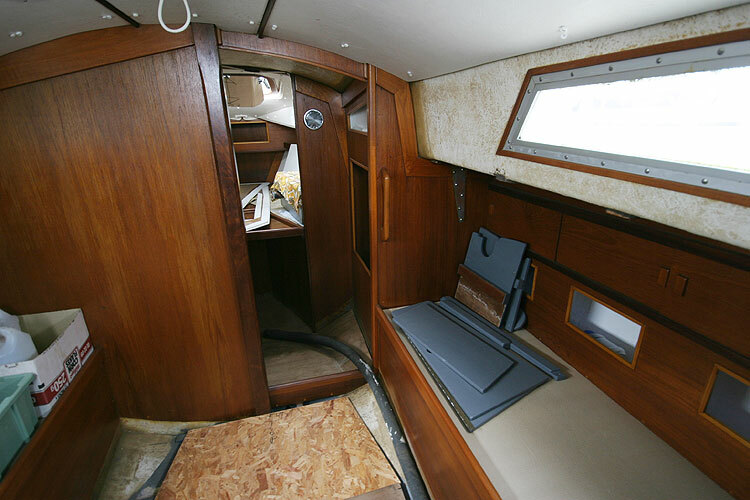 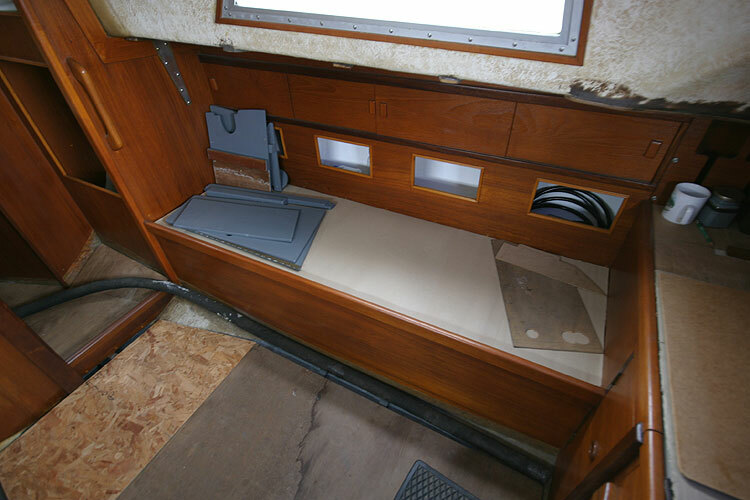 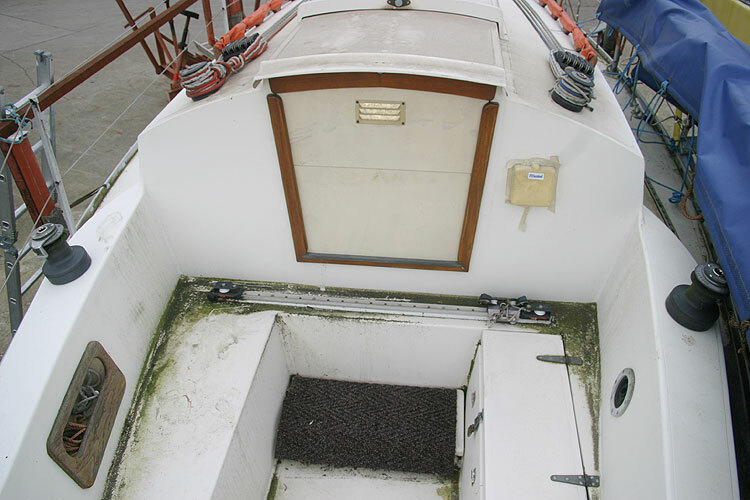 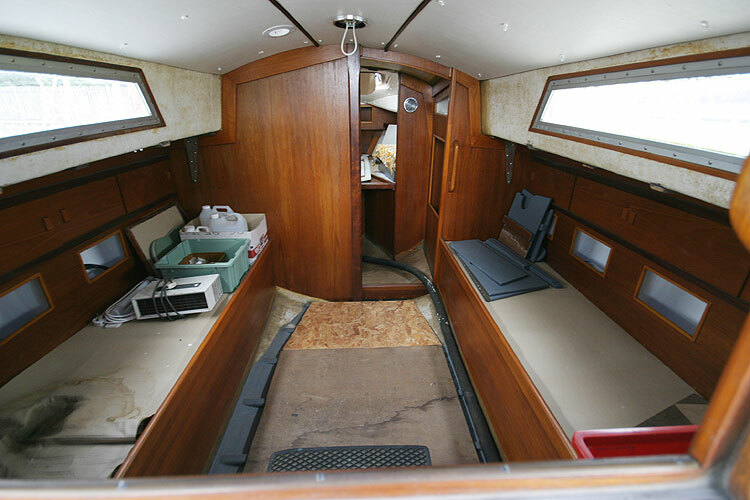 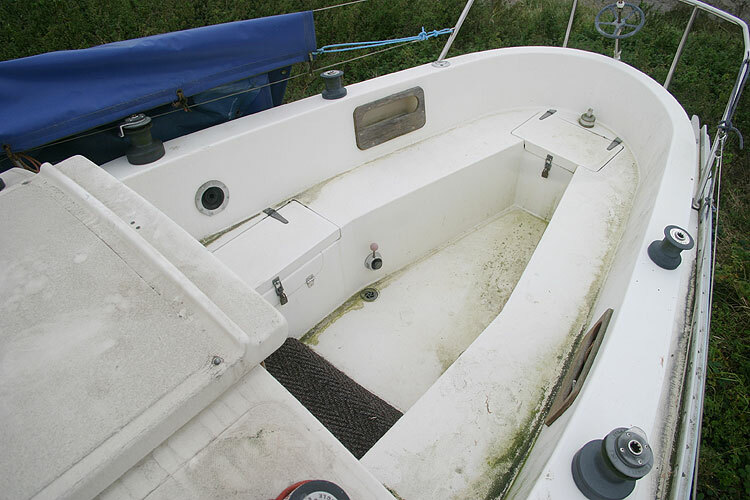 The main bulkheads, pulpit, pushpit and main hatch plus rudder were already fitted. 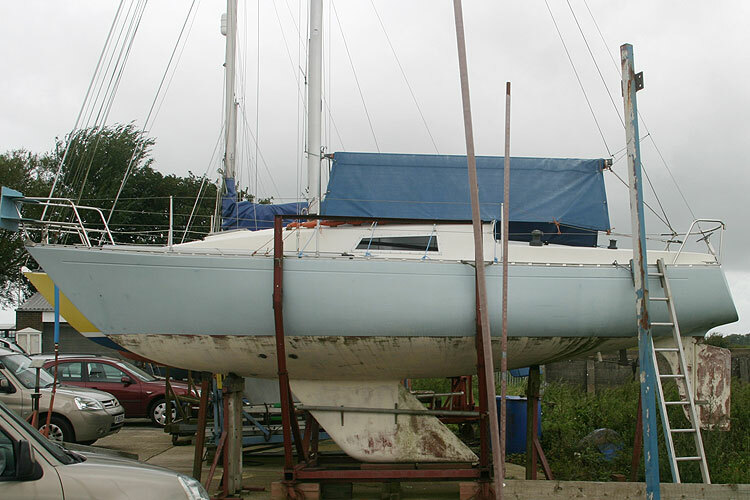 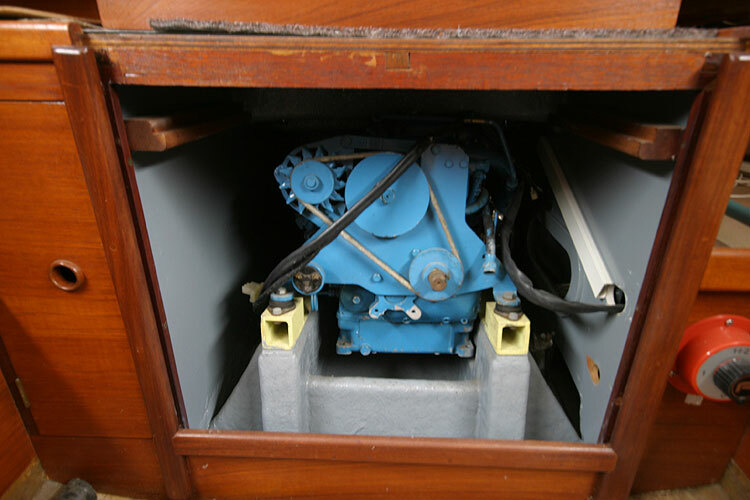 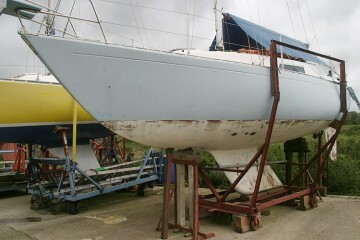 The present owner has fitted the engine which has never been used although he has turned it over regularly. 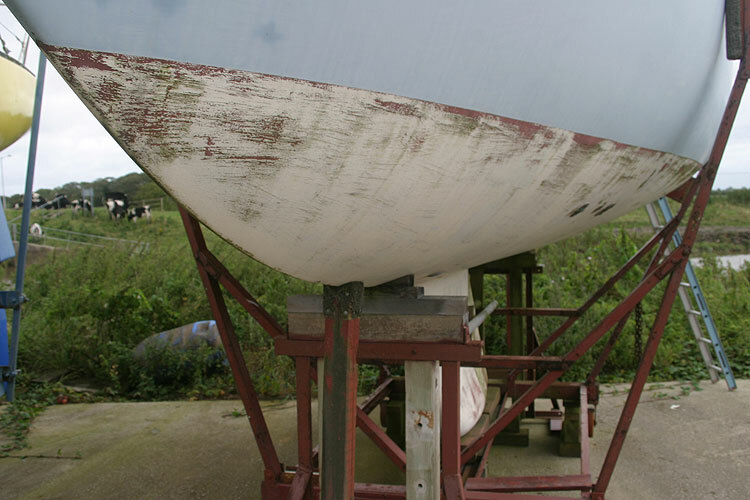 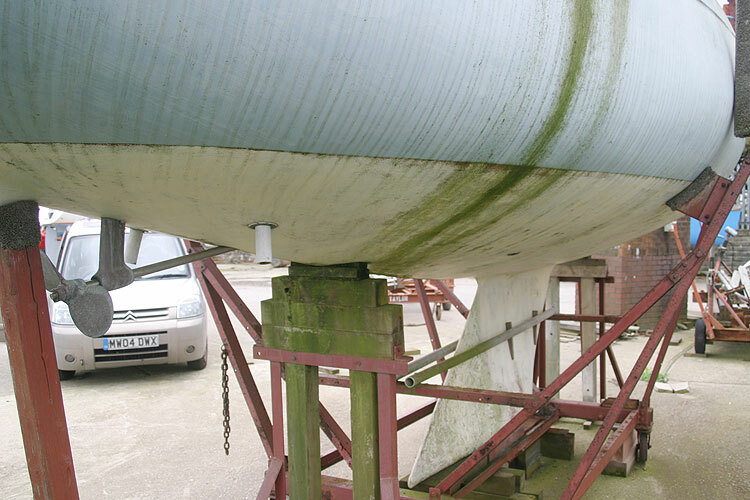 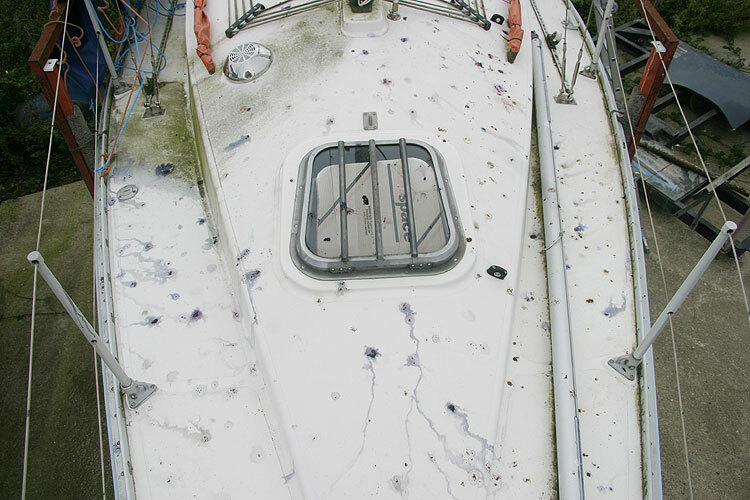 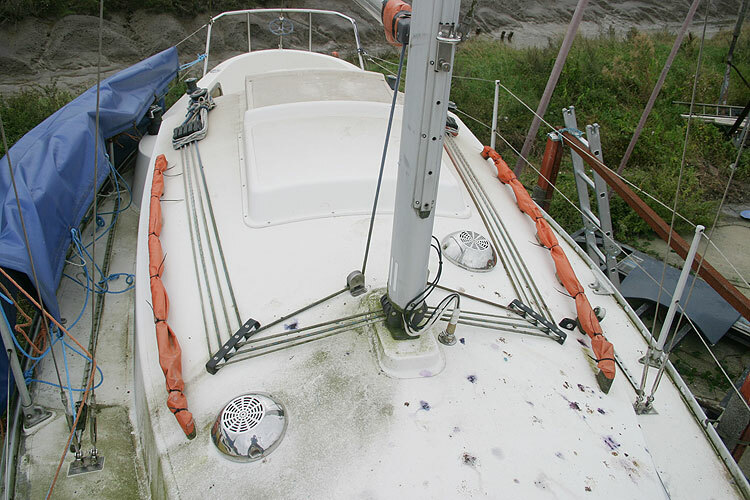 The hull was epoxied from new, The vessel has never to date been launched. 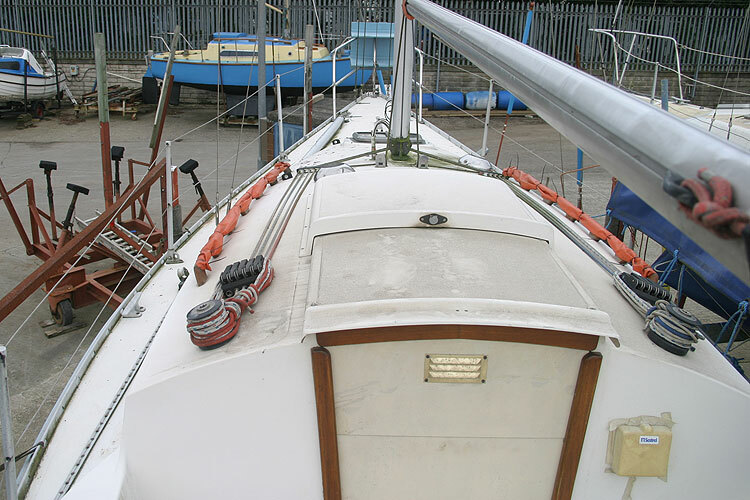 A Kemp mast with stainless steel rigging and all running rigging are mounted in place. 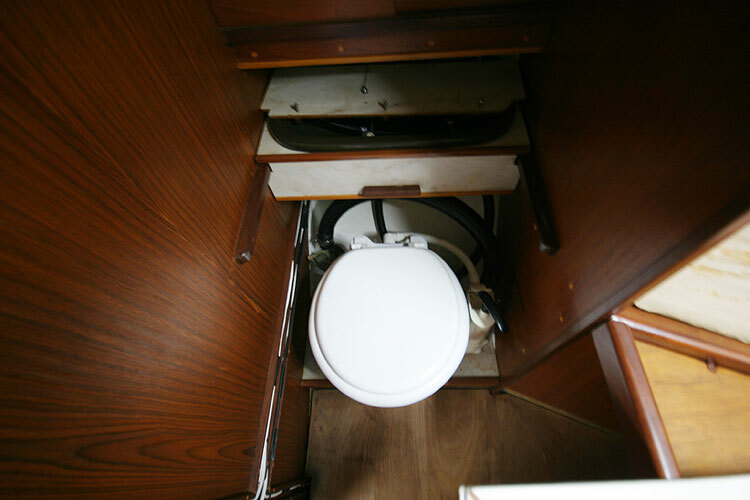 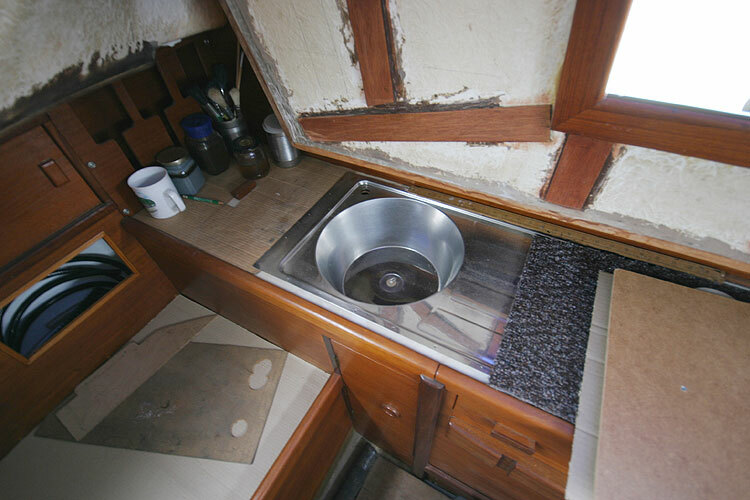 The accommodation comprises a Double berth in fore cabin, 2 singles in main saloon plus a quarter berth, There is a separate heads compartment with wash basin. 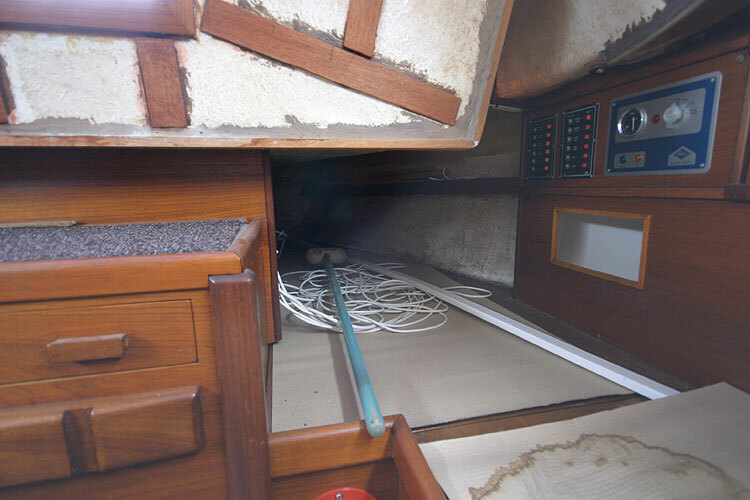 The sail suite includes a main No1 and No2 genoas, storm jib and spinnaker. 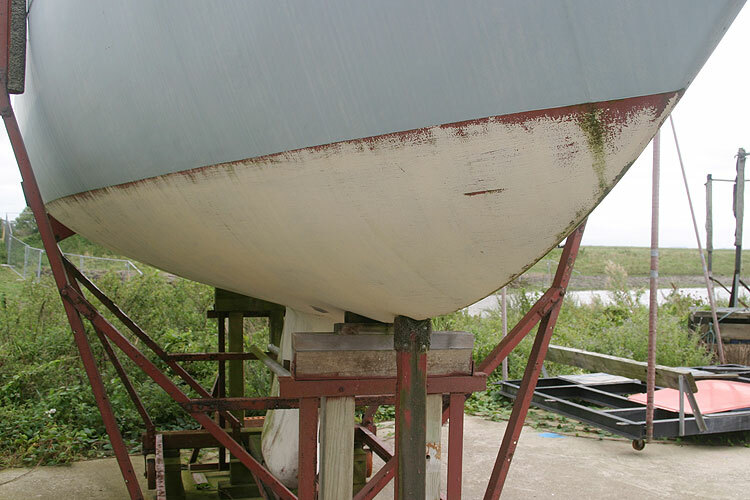 The vessel is on a yard trolley and almost all materials to complete her are included. 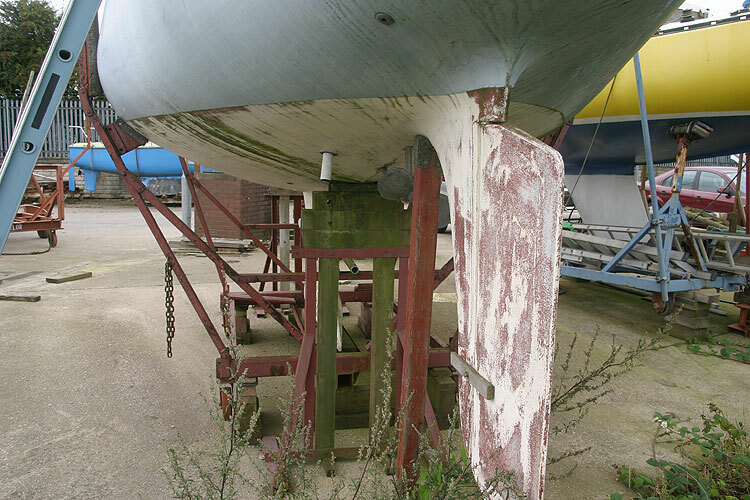 This boat is no longer for sale and remains here solely as an information resource for those researching Sadler Frigate 27's.